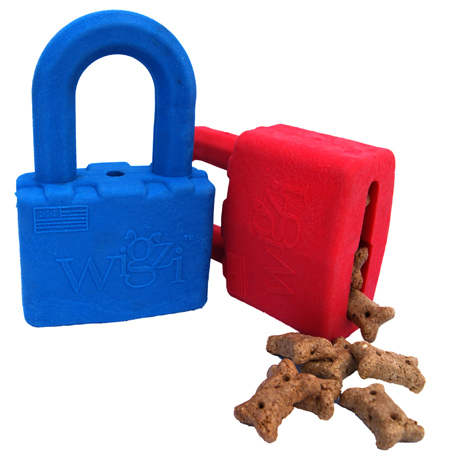 This is actually the Lock n’ Play toy from Wigzi (WG0005 $11.99). We’ve talked about it before, but this pic was too good to pass up. Toys come in small, medium and large. Prices range from 6.99 to 11.99. Treats sold separately. Please call your closest store to check stock. DC only. 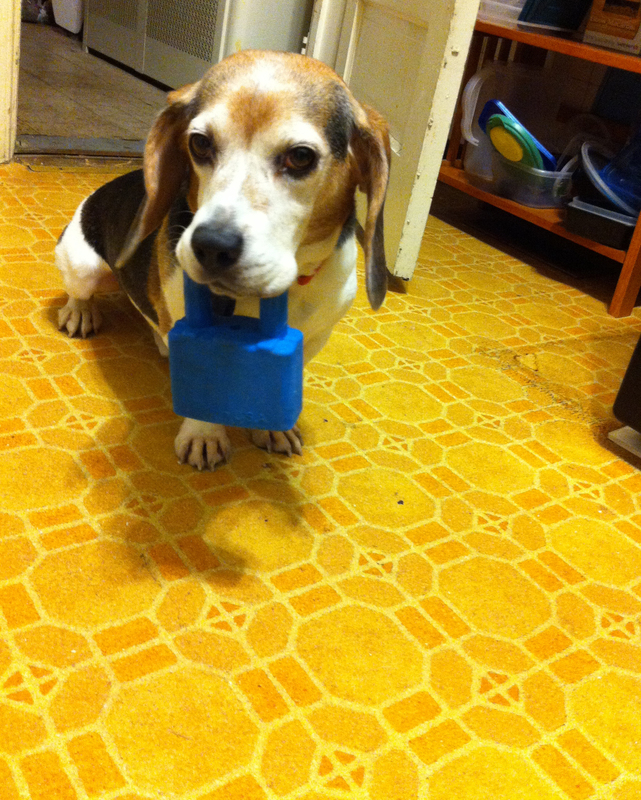 Lock n Play Dog Toys - Made in USA! We’re not sure if the makers of this dog toy meant for it to smell like cupcakes, but we do know the Washington, DC-based Wigzi intended to make a non-toxic and chewable toy for pups that doesn’t smell like rubber and that house treats inside. They’re also eco-friendly and animals adore them.